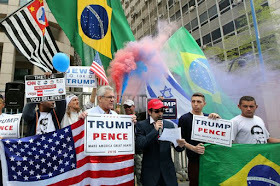 Anti-Donald Trump protesters were left bloodied and bruised after clashing with the Republican candidate 's supporters and riot police in Brazil. 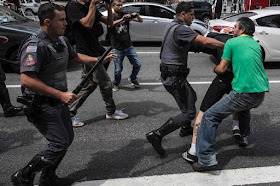 The campaign descended into violence when a group calling themselves "anti-fascists" brawled with around 50 pro-Trump supporters after the two sides starting screaming at each other. 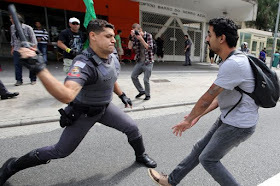 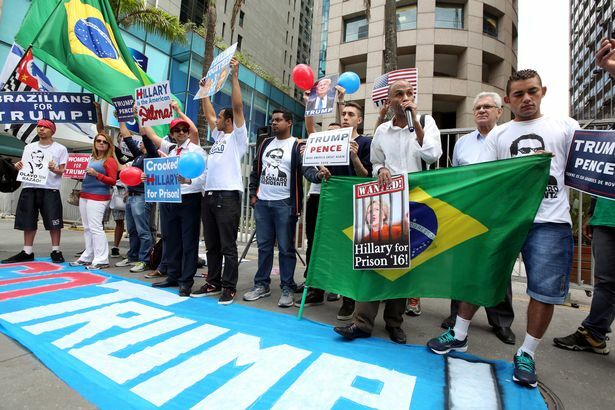 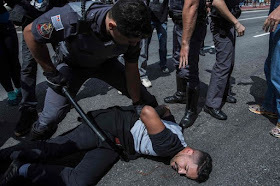 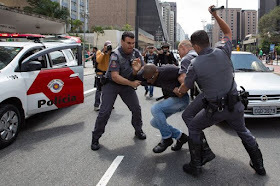 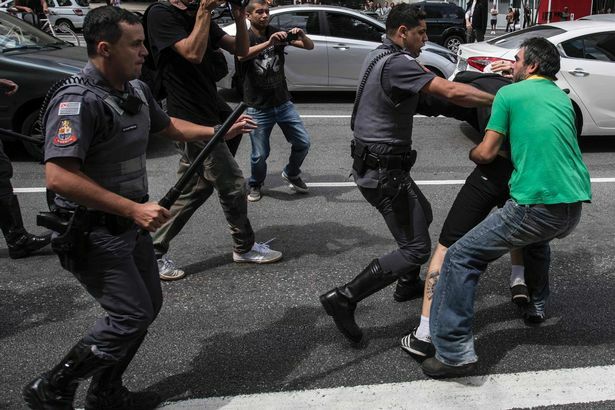 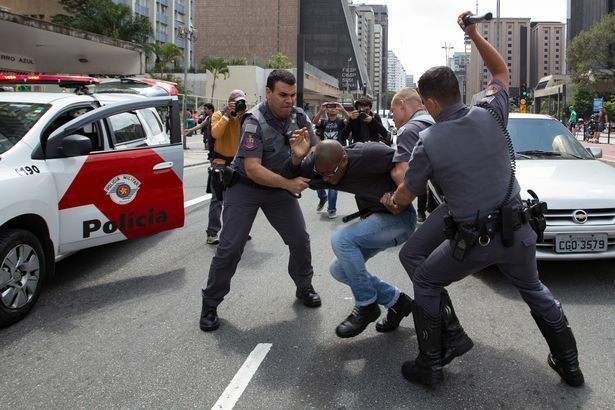 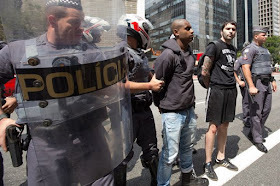 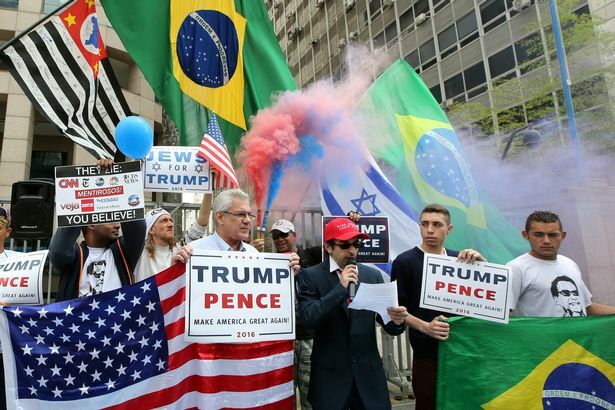 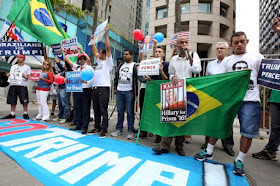 Riot police were called to the demonstration at Paulista avenue in Sao Paulo as a fight broke out.A number of pro-Trump supporters donned masks and carried posters showing Democrat candidate Hillary Clinton behind bars.